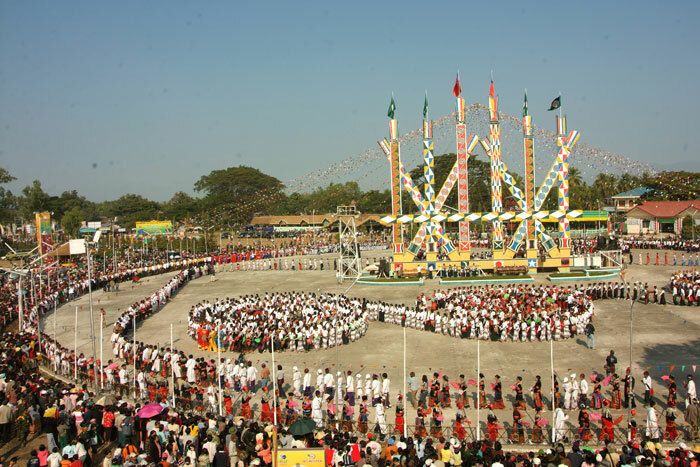 Myitkyina is the capital city of Kachin State in Myanmar (Burma), located 1,480 kilometers (920 mi) from Yangon, and 785 kilometers (488 mi) from Mandalay. In Burmese it means "near the big river", and Myitkyina is on the west bank of the Ayeyarwady River, just below 40 kilometers (25 mi) from Myit-son (Burmese for confluence) of its two headstreams (the Mali and N'mai rivers). It is the northernmost river port and railway terminus in Myanmar. The city is served by Myitkyina Airport.